When workers leave the office to seek out the spur of a caffeine kick, it’s chipping away at valuable time for your company. The key to keeping your employees productive is with a single serve coffee maker that brews up a full-flavored, customized cup of coffee in seconds. 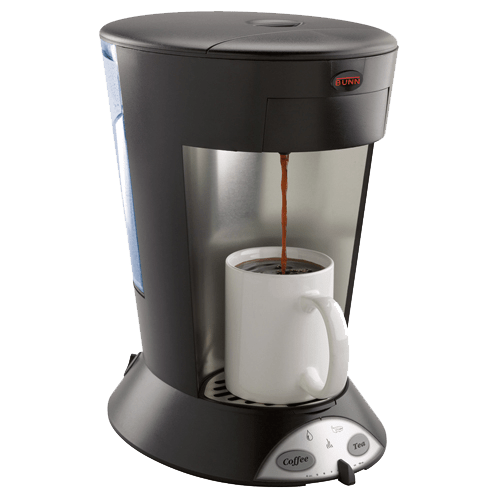 Whether you need a one-cup coffee maker to support a team of five or 50, The Java Geniuses offer a single-serve coffee maker that’s perfect for your office coffee station. 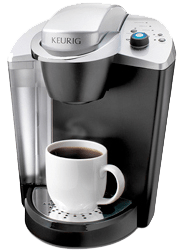 With The Java Geniuses tinkering away in our covert Café Lab, your office coffee station stays stocked with single-cup blends that replicate employee’s favorite brands along with other inventive coffee concoctions. Click on the links below to learn more about the single-serve coffee brewers QEC provides. One touch for assorted creamy milk-based beverages. 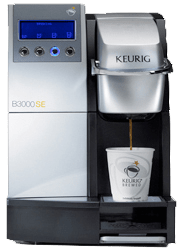 EP 2500 PLUS is the ideal Espresso Point machine for small-medium offices and business not only for an excellent espresso, but also creamy milk-based beverages. In fact, thanks to its pre-set selections it is fast and easy to prepare several delicious beverages with only one-touch. Your workplace barista just got better. Now you can enjoy delicious coffee-shop-style drinks without ever leaving the office. MARS DRINKS™ FLAVIA® Barista brews Americanos and double espressos, providing even more great reasons for co-workers to grab a cup and connect during the workday. Now you can help your customers bring a higher level of coffee enjoyment to the office by introducing our evolutionary technology in single cup brewing. It starts with our proprietary brew process that delivers a perfectly brewed cup of coffee every single time. Pre-infusion technology: Prepares the coffee for pulse-brewing by steeping it in just the right amount of water and the right temperature to deliver the most premium flavor during extraction. Pulse brew: Perfectly times the hot water and controls the flow of water over the grounds, extracting optimal full flavor potential. Special brew recipes: La San Marco technology provides specifically formulated recipes for each of the four cup sizes. Proprietary cartridges: Only fit the OC System™ and can’t be used with home machines. Ensures the coffee will stay where it belongs. Unique capsule design: The OC Capsule is perfectly sized to further enhance the flavor. Stay-Fresh Packets: Individual stay-fresh packets seal in freshness, protecting the flavor and aroma – A Difference You Can Smell™ as soon as it’s opened. Our most versatile office brewer, the B200 is designed for medium-sized offices with up to 30 employees. Unique LCD screen provides user instructions. Can be used in pour-over or plumbed mode for maximum placement flexibility. Vending option is available. 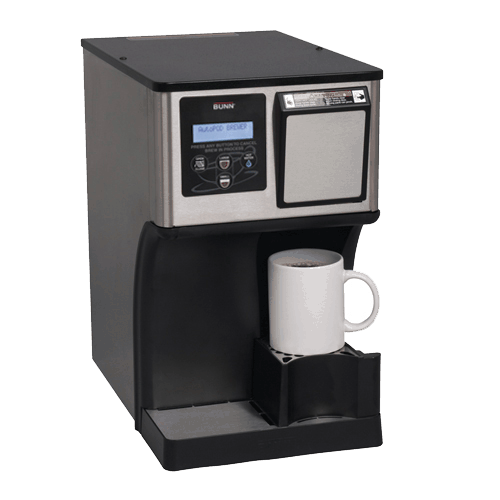 The B150 Small-Medium Office Brewing System has interactive touch-screen controls, five brew sizes of 4-ounce, 6-ounce, 8-ounce, 10-ounce and 12-ounce, 90-ounce cold water tank, pour-over and plumbed capability, includes Quiet Brew™ technology and is UL rated for both household and commercial use. The OfficePro Brewer is Keurig’s new small office brewer. This brewer is perfect for offices of 15 or less, conference rooms or the boardroom. 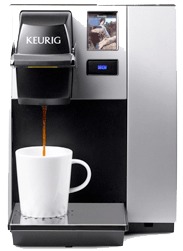 It offers three brew sizes (6-ounce, 8-ounce, 10-ounce), an internal tank that drains at the flip of a switch, an auto-off safety feature, removable drip tray and a removable water tank. 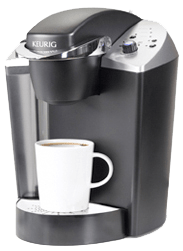 The B140 Small Office Brewer incorporates the latest Keurig Brewed® technology, and is the perfect size for small business, conference rooms and waiting areas. Ideal for offices of 15 or less, conference rooms or the boardroom. The DeskPRO™ B130 Single-Cup Brewing System is the perfect desktop solution to meet your individual brewing needs. Its compact size and features are ideal for the personal office setting. 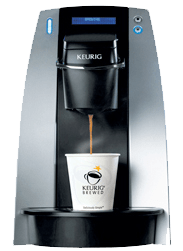 The DeskPRO Brewing System heats eight ounces of water in about three minutes and then brews just like other Keurig brewers, but leaves no water in the brewer. The Douwe Egberts Cafitesse 60 is compact and has a contemporary design. It makes delicious cappuccinos with real milk, and of course black coffee. The Cafitesse 60 has a user friendly display, which contributes to the high convenience of the system. The Cafitesse 60 fits perfectly in smaller locations. The Douwe Egberts Cafitesse 110 is a unique coffee system using packs of frozen liquid coffee, dispensing a cup of fresh coffee in approximately two to three seconds (or a pot in under one minute), with no waste and ultimate ease of operation. Ideal for self-service environments such as hotel lobbies or waiting rooms. The Douwe Egberts Cafitesse 300 is a single-cup, coffee-from-concentrate brewer. The C-300 supports two varieties of coffee at a time, from two-liter cartons. It can brew up to 1700 cups per hour. Douwe Egberts liquid coffee machines are a cost-effective coffee option for high-volume and self-serve locations. Coffee is brewed using bag-in-box concentrate, reconstituted with hot water as each individual cup is drawn. Advantages to the Douwe Egberts system are minimal preparation and cleanup, 24/7 product availability, tight control of product and a consistent, if only fair, product quality. There are no filters or grounds to deal with, and no heated surfaces to worry about. The ultimate in single-serve pod brewing systems. Designed to meet today’s demand for perfect coffee or tea. The Bunn AutoPOD pod brewer is a commercial-grade system that brews perfect beverages with ease, consistency and reliability. 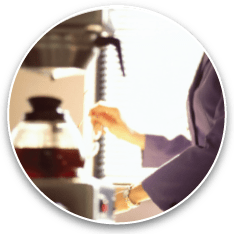 The My Café Pour-Over (MCP) single serve pod brewer is commercially rated — making it ideal for small offices and businesses. Experience a great cup of coffee brewed with pods in under a minute.